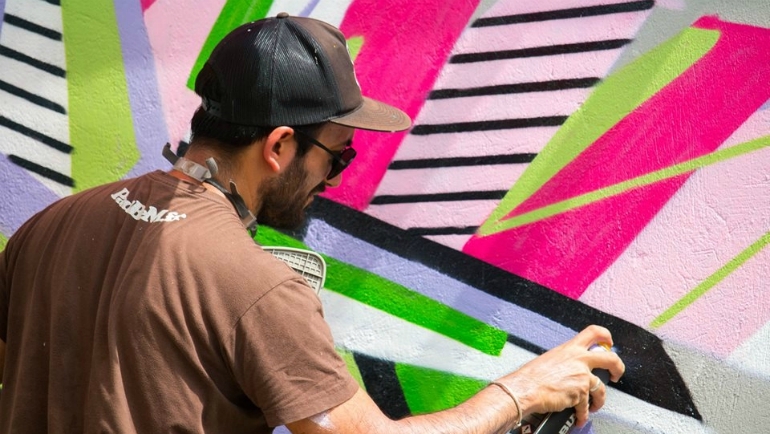 Daco is a French urban artist whose geometry-inspired Graffiti has been featured around the world from the Subways of Paris to the streets of Valparaiso and Taipei. On 7th July, Daco visited Dilmah’s MJF Centre in Moratuwa. The visit was an inspiration resulting in the creation of a masterpiece. This was preceded by a young people’s workshop teaching alternative art techniques. His series of abstract animals named «Graffaune», is a contraction of the words Graffiti and Faune (Wildlife in English). 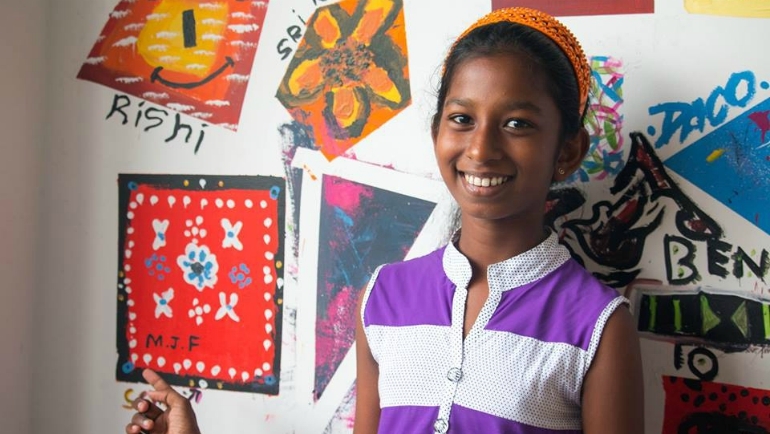 Children from MJF Charitable Foundation, Maligawatte and Peliyagoda centres, gathered in Moratuwa with Daco to adorn a white wall with geometry-inspired designs and doodles. It was the perfect opportunity for the young participants to be creative and spontaneous with abstract art using bright, bold colours. 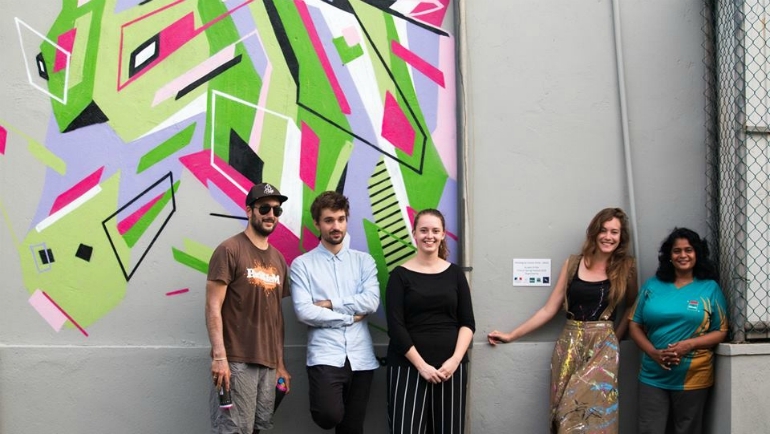 After an art demonstration by Daco, the white space was transformed into an accent wall with vibrant paints expressed in the form of geometric shapes, textures, drips and splatters. Later over fifty young people and their teachers sat by to watch Daco bring colour and life to an outer Centre wall. His latest Graffaune, features a horse and a butterfly which emerged from a kinetic flurry of spray paint and geometric angles. A graduate of Fine Arts at the French school Beaux-Arts de Paris, Daco's visual identity stands out with his unique, unstructured style. 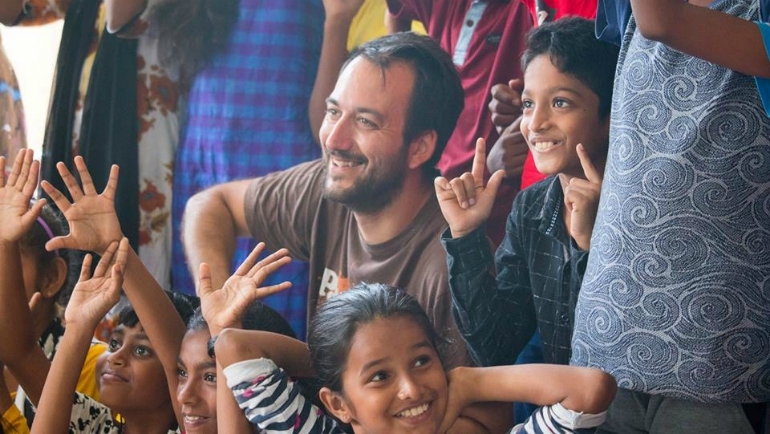 His visit was part of the month-long French Spring Festival organised by the French Embassy and Alliance Francaise de Kotte from June 14th to July 14th. Dilmah was one of the Festival’s Gold Sponsors.